Christopher Martin of “KID N’ PLAY” Discusses His Journey in the Music Industry & New Hip-Hop Film Documentary! During the late 1980’s and early 1990’s the voices of Hip-Hop were starting to be heard across cultural and socio-economic lines bringing light to the street life. One of the crews that played a major voice in this era was the hip hop duo known as, Kid N’ Play. Christopher Martin most popularly known as “Play” from the late 80s/early 90s Hip Hop duo, Kid N’ Play, is one of the iconic pioneers of the Hip Hop culture when it comes to music and dance! Christopher “Play” Martin along with co-member of the group, Christopher Reid formerly known as Kid, helped to pave the way and open doors to the social revolution of dance within the hip hop culture! Outside of memorable lyrics and the group’s famous dances known as the Kick Step and the Funky Charleston, the group aided in bringing attention to the art and creativity of dance. Classic films like ‘House Party’, ‘Class Act’ and even a popular animated 90s cartoon series based on the real life of the hip-hop duo, was just one of the many amazing creations behind the multi-talented group. In the documentary, he plans to travel from city to city to speak with the dancers responsible for the videos, dance shows and images we enjoy til this very day. A few of the rap artists appearing in the documentary include, LL Cool J, NWA, Salt ‘n Pepa, MC Hammer, Kool Moe Dee, MC Lyte, Naughty By Nature, Queen Latifah, Big Daddy Kane, Heavy D, Slick Rick, Kid N’ Play, and a host of others! The executive producers of the show are Christopher “Play” Martin and Cheryl “Salt” James. Producers are Shane Johnson and Donielle Artese. Recently I had the honor and the pleasure of interviewing the Hip Hop icon, Christopher Martin on my radio show (Starrdom100 Radio) and he discussed his journey into the hip hop culture as well as shed some light on his new film documentary, “ANDiDANCED.” As a 80s baby and true fan of Kid N’ Play, the experience was exciting! Take a brief look at a few excerpts from the interview below. Tanisha Davis: Who was Christopher Martin before being known as “Play”? Tanisha Davis: You have a new documentary film called “AndIDanced” tell me about that. 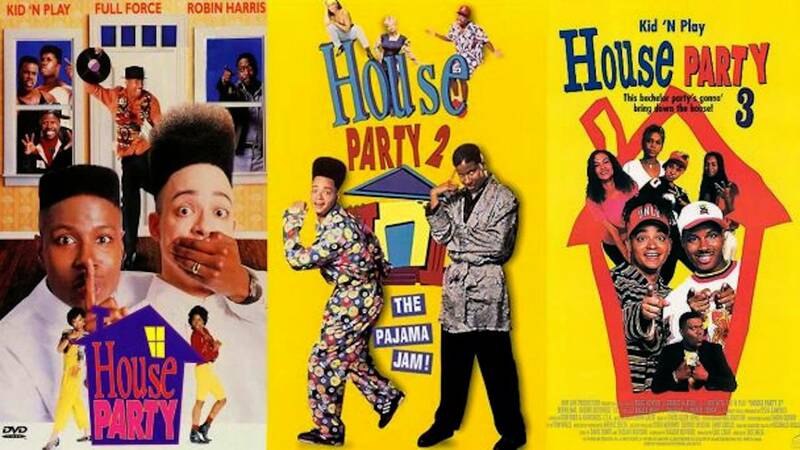 Tanisha Davis: What are your thoughts on NBA player Lebron James doing a House Party remake? Take a listen to the full interview with me and Christopher “Play” Martin below. Keep Up with Christopher “Play” Martin on Instagram (@the_Playgroundz) & on Twitter (@thePLAYgroundz). Discover more information about his new film documentary by visiting www.ANDiDANCED.com!